I think it was in the 10thgrade when I filled my bedroom with a half-dozen plastic buckets of pond water, water plants, rocks and lily-pads to conduct a long-term homework project for my Water Ecology class. My mom really hated the whole idea of this project, and, as I tinkered around adding various amounts of nutrients to the water- nitrogen, phosphorous, potassium- some of the plants prospered and grew up and over the edge of the tubs, while other plants died and turned into dark green slime floating on the surface of the scummy water and adding a certain “doux arome” to the bedroom that I shared with my little sister. Hey, it was all in the name of SCIENCE. And, it was a grand experiment. I began with a constant – all of the buckets had the same amount of water and plants- and I played around with the variables of the added nutrients, seeing what their effect would be on the ecology in the plastic tubs. Anyone who went through high school and is reading this probably also participated in experiments of some kind in the science lab- growing plants; using levers and pulleys and wheels to study the laws of motion; running mice through mazes; working with chemicals and beakers, Bunsen burners and safety glasses; and preparing slides for microscopes. Science was one of my favorite subjects because I loved exploring and experimenting. Experimentation is a critical element to keep us moving forward in all areas of our life. We begin as babies experimenting with, literally, how to get from point A to point B (I’ve seen some pretty inventive crawling/rolling/scooching in my day)…as we grow we learn to experiment with relationships (what will work to get the car keys out of my mom’s hand and into mine? )… and we experiment to discover, in the end, what it is that we want to “do” with our lives. Many of us experiment vocationally several times before finding something that sticks. Even then, some jobs are appropriate for a “season” of our lives and, if we are bold enough to try on something new, we find a better fit. 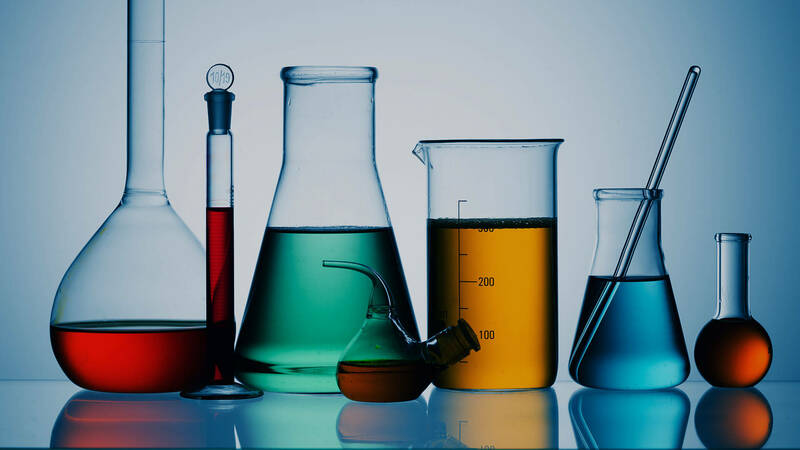 When it comes to Church Life, we are less enthusiastic about experimenting. Our spiritual lives (which, for many of us, are anchored in Church and the practices of Church) are very dear to us. They are the cord that connects us to the Divine, and, if we really dig into our deeper awareness, to our Salvation. “If it ain’t broke, don’t fix it,” we think. It’s a beautiful and sacred thing- this way that we worship and the way that we are structured in the Church- and we have come to believe that the promise of our eternal life depends on it. God is bigger, stronger, and smarter than any liturgical construct that we can invent. If we really believe in the creative and responsive power of God (see the end of the Noah story when God changes God’s mind), then God is just as happy showing up in a high school gymnasium with a praise band, as God is in a gothic cathedral with clouds of incense. There is nothing that we can do to push God away from us. (See Psalm 139 if you don’t believe me). Our spiritual lives, too, are much more durable than I think we give them credit. Our relationship with God is not dependent on the correct number of prayers that we say, in a certain order, on a certain day, facing in a certain direction, in the right tone of voice. It’s not that fragile. God is strong and the desire that God has to be in relationship with us is so fervent that I’m pretty sure that God will take whatever we want to offer up. You might say, though, that worship, the cornerstone of our communal Christian practice is about paying homage, and creating beauty- which must be dignified. Yes. And, I’d suggest that beauty comes in many forms and is, really a matter of taste. If God is tough and your relationship with God isn’t going to be harmed- like the pond lilies that got too heavy a dose of nitrogen in my bedroom- then what’s the matter with trying something new every once in a while? 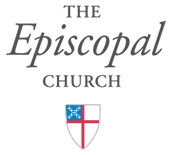 Oh, right- there’s the matter of “consistent branding.” We have a certain way that we do things in the Episcopal Church… that’s true. And, if a congregation is going to deviate from the norm in its regular worship, then it needs to have a conversation with the Bishop to talk about why the deviation makes sense. But that doesn’t mean that deviation can’t happen, that liturgical experiments can’t take place and that, even better, exploring NEW MODELS of church can’t be tried on for a season or so- Priest-sharing, Shared Bookkeeping, Collaborative Outreach, Regional Youth Groups, Traveling Convocational Choirs, Preaching Missions, Bring-a- Friend-to-Church-Sunday, Let-the-Youth-lead-the-service-Sunday, Intergenerational Sunday, Pets in the Pews (not my favorite, but lots of folks like it), Mass on the Grass (church outside), Holy Hikes (communion in the woods), Bring-a-Grandchild-to-Church-Sunday, Kids-in-Church- and-Grownups-in-Sunday-School-Sunday, etc. etc. etc. Have some fun. Shake it up. Try it on. Experiment. There is a psychological phenomenon called “Limiting Beliefs.” Limiting Beliefs are those ideas that keep us out of the realm of experimentation and in our safe zones. Limiting Beliefs create resistance to experimentation. An example: We can’t move Church to the Town Park next Sunday because… visitors might show up. Another example: We can’t join the youth group together with the Methodist Church because our theologies are too different. Another example: We can’t use Rite One language on the first Sunday of the month because it’s too old-fashioned and no one likes it. Here’s a plea: try it anyway. Experiment. Try new things. In small doses and with a time certain, and with evaluation as a vital component at the end. My mom was never happier than the day that I tossed the buckets of slimy water into the compost heap in the backyard. I wrote up my experiment and took away some good information about what chemical runoff can do to our fragile hydro-ecology. I learned a lot and my appreciation for our natural resources and the need to be good stewards of them was increased. My room smelled a lot better, too. Experiment. Reflect. God will be there though it all. Bishop Audry, I thoroughly enjoyed your blog/article/letter. I had one “failed” experiment in my high school days. The class was dissecting frogs (dead) and I asked to bring in a bull frog that lived in our spring house (farm), The teacher heartily agreed and we planned to put it asleep and dissect it while still alive so we could see the heart beating and maybe the lungs working. The day came to bring the frog in and we started the ether to put it asleep. Time passed and we checked on the condition only to discover the frog apparently held its breath and died!!! So my dissection was no different than the other student’s.